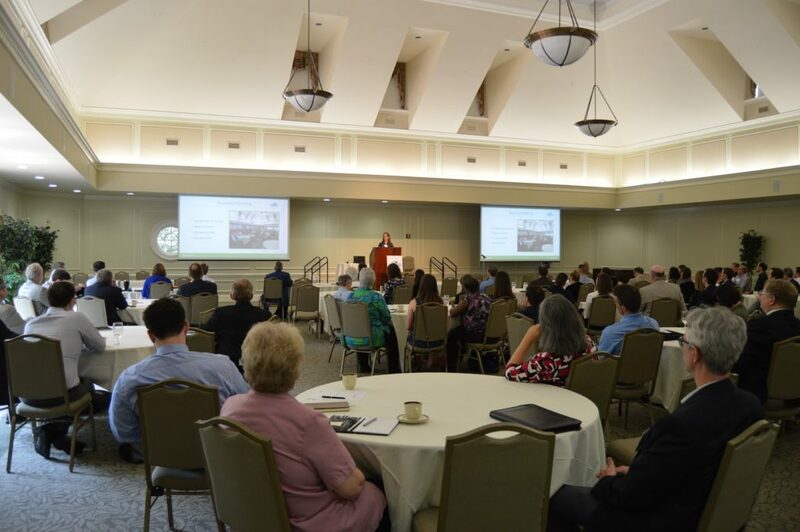 On May 10th, we held our Spring Meeting at the University of Richmond Jepson Alumni Center. A huge thank you to our sponsors for making our event possible, and a thank you to all those who attended and made it a success! Registration and networking kicked off our meeting at 10:00a.m. As attendees filed in, we started our opening presentation and business meeting portion of our agenda. Chelsea Harnish, our Executive Director, gave a recap of some of the accomplishments and updates VAEEC’s had in the past year. Some of these updates included highlights from our Annual Report, which can be viewed here. Chelsea Harnish presents the opening remarks. After Chelsea’s updates, members voted on three Board Members up for reelection: Richard Caperton–Oracle, John Morrill–Arlington County, and David Koogler–Rappahannock Electric Coop. Members also voted on one new Board Candidate, Michael Hubbard–Dominion Energy, to replace former Board Member Tom Jewell. Each passed unanimously. Currently, the VAEEC is focused on commercial PACE and residential building codes and utility programs. 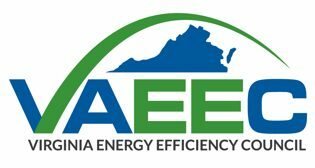 What additional topics would you like the VAEEC to focus on or address during 2018? Would a job opening and resume board posted on the VAEEC’s Members Resources page be beneficial to you or your organization? 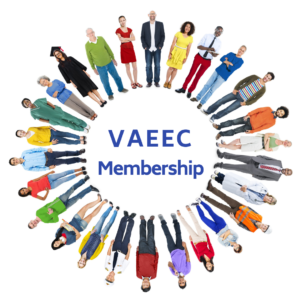 What additional benefits would you like included in your VAEEC membership? For Non-Members: What is preventing you from joining VAEEC? One of our most memorable responses to our additional benefits questions was “more happy hours.” While we’re not sure we can deliver on “the happiest hour ever”, we appreciate everyone who participated and gave us valuable feedback to work with moving forward. In fact, the overwhelming positive response to the idea of a job board led us to immediately add one in our Member Resources Page. Our group then broke up for breakout sessions. Attendees could choose between a Residential Utility Programs panel or a panel on Commercial Building Automation. The Residential Utility Program panel was held in the Quigg Room with Michael Hubbard (Dominion Energy) and Zack Bacon (Appalachian Power Co.) as speakers and Chelsea Harnish as Moderator. The second panel was held in the main room on Commercial Building Automation, with speakers Philip Agee (Viridiant), Cindy Zork (USGBC), George Holcombe (Capital One), Amanda Jenkins (Johnson Controls) and Jessica Greene as Moderator. Both panels hit a snag in the middle as the fire alarm went off and the building was evacuated. The panel on Residential Utility Programs gave quick updates on both Dominion Energy and ApCo’s programs proposed to the State Corporation Committee. At the time, these plans were still under consideration however just a few days after the meeting, the SCC released their final order on ApCo’s programs. Three of their residential programs were approved and one was denied. All of the commercial programs were approved. Dominion Energy’s Low-Income Program was approved May 15, though with a reduced budget and at a three-year timeframe instead of the proposed five-year program. The Commercial Building Automation breakout session holds their Q&A in the courtyard. The Commercial Building Automation panel discussed how implementing building automation can save money, consume less energy, use less water, use fewer resources and provide better indoor environmental quality. These benefits are also the categories that buildings are scored with on how effective their automation is. 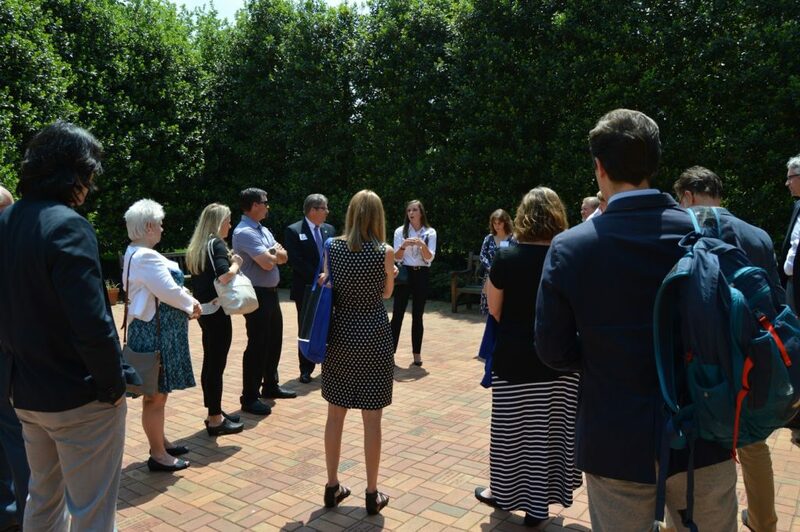 While the fire alarm was disruptive, for the Commercial Building Automation panel, it provided a chance for attendees and panelists to interact in a more informal setting and they held their Q&A portion outside in a courtyard. After the breakout sessions, we took a quick lunch break before listening to our Keynote Speaker Angela Navarro, the Deputy Secretary of Commerce and Trade. Angela talked about Governor Ralph Northam’s various energy efficiency policies and his priorities moving forward. For our final portion of the meeting, we asked our attendees to break into four groups based on the topic that most interested them. The choices were: Commercial-PACE, Local Government, Residential EE and Utility Programs. We had attendees participate in discussions about the challenges each of these sectors are facing and what solutions we can implement to overcome them. After discussion, each group presented a short summary of what they talked about to the rest of the attendees. The notes for the Interactive Session can be found here. While certainly not perfect (considering our fire alarm disruption) we’re still thrilled we were able to try new things with positive reviews from our attendees. Participation in our membership poll was the highest we’ve had to date, and the feedback on the Interactive Session from our post-event survey shows attendees found it was not only useful but enjoyable; meaning it’s sure to stay for future events. Again, thank you to all in attendance for making the 2018 Spring Meeting a success! If you’d like to view photos from the event check out our album. Feel free to use them on your own social media!